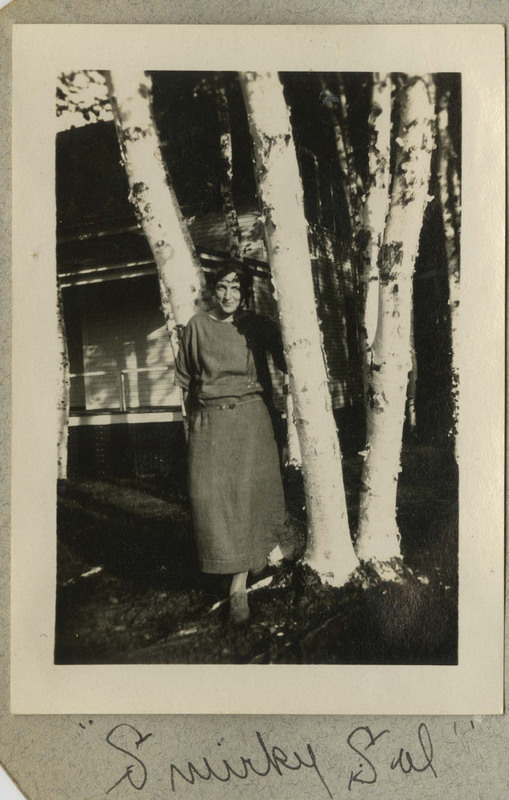 The photograph depicts a woman standing next to several trees, with some kind of house or cabin in the background, likely Ruth Gates. Caption: "Smirkey Sal." 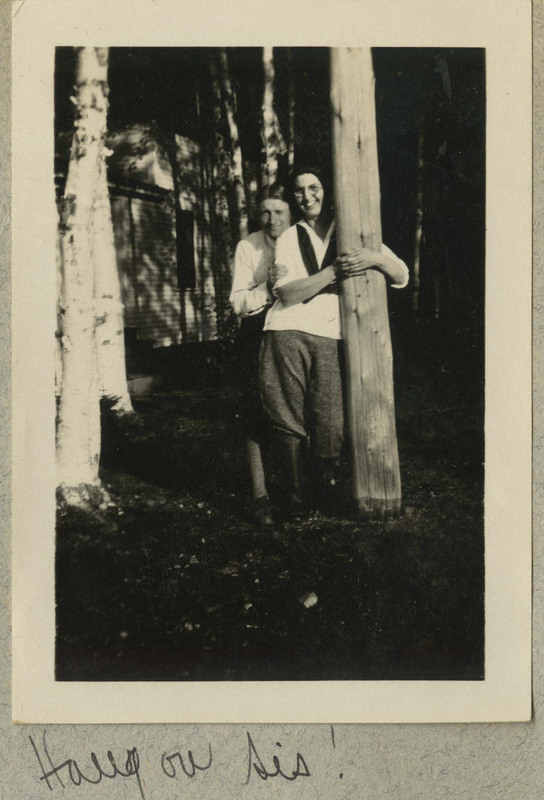 The photograph depicts a man and a woman standing next to a tree. The man is holding onto the tree with both arms. Caption: "Hang on, Sis!" 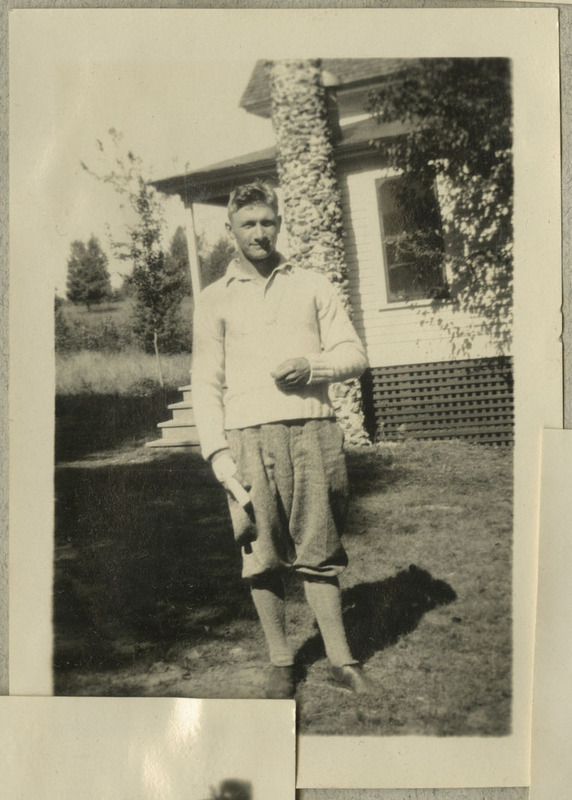 A photograph of a man in front of a house. 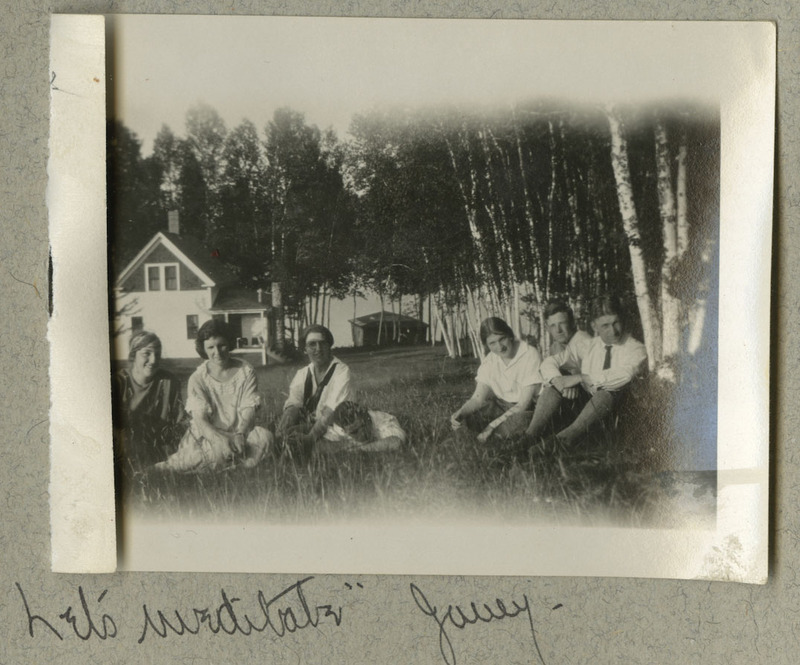 A photograph of four men and four women in front of a house. A different version of the same shot can be found on this page to the left. 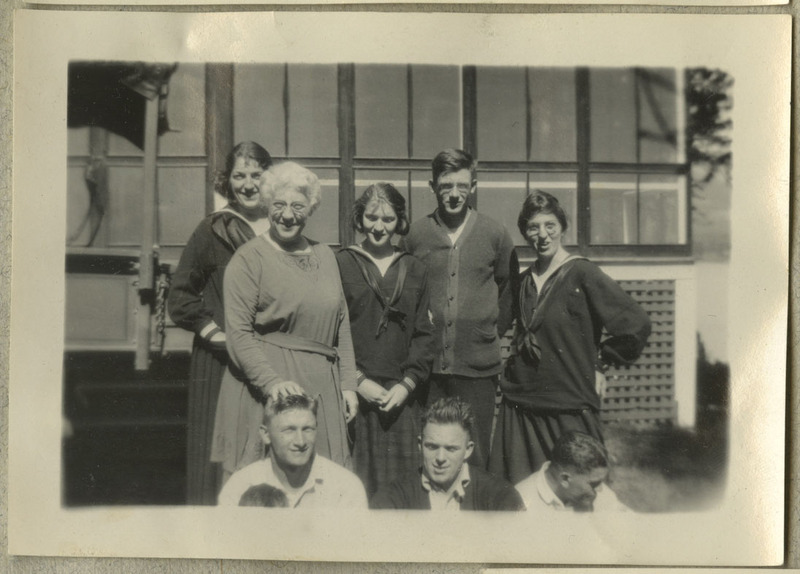 Likely Ruth Gates far left, back row. 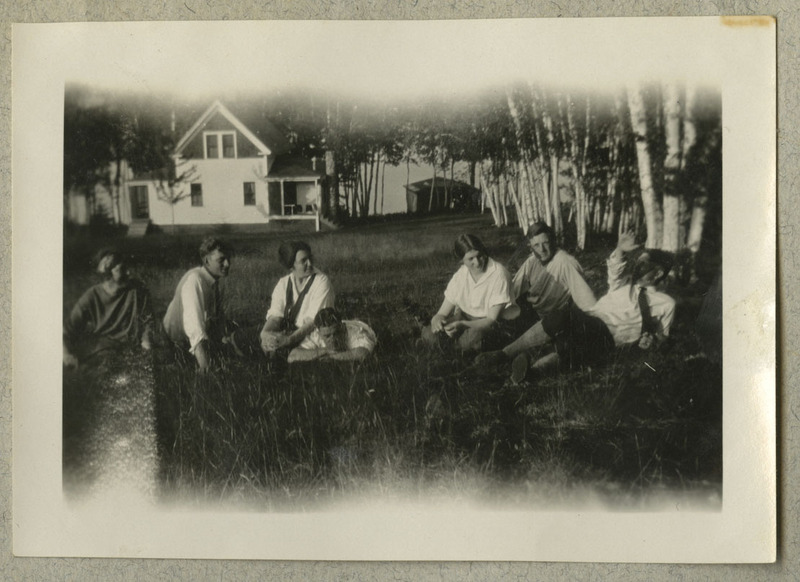 A photograph of four men and four women in front of a house. A different version of the same shot can be found on this page to the right. 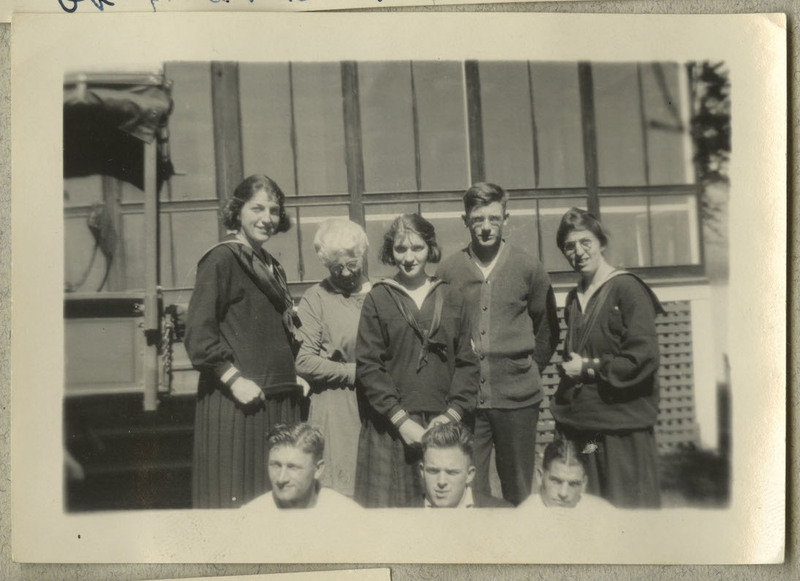 Likely Ruth Gates on far left, back row. 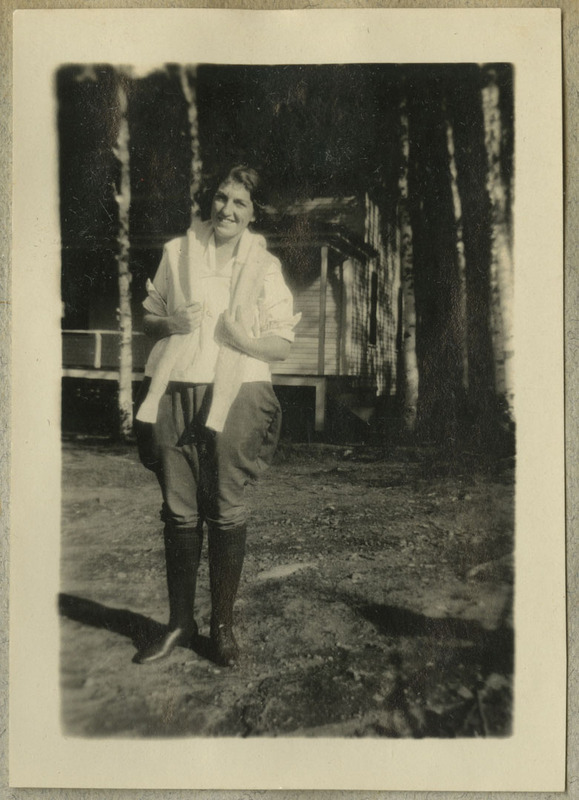 A photograph of an unidentified woman in front of a house with a scarf or sweater around her neck. 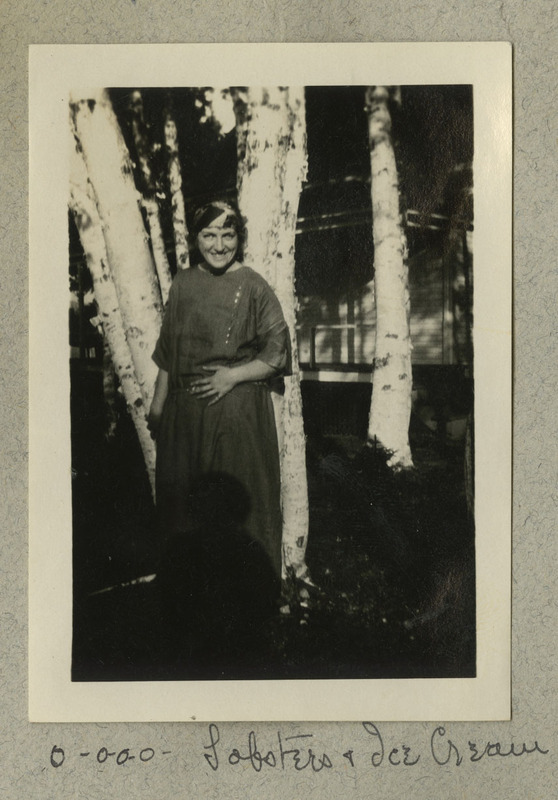 Likely Ruth Gates pictured.